It’s a dog-eat-dog world trying to get business through the internet and in the city of online reviews – you don’t want to be the Chihuahua. Online reviews get you noticed, show that you’re in the game to play, and help you achieve new customers. Seriously, it’s been shown that 67% of consumers are influenced by online reviews. I trust that you know how to do math but, I feel it necessary to point out…that’s over half of consumers, and your potential new customers. The obvious cons of negative reviews could mean receiving a bad reputation, losing customers, and losing potential customers, therefore making new customer acquisition a higher cost as well as potentially losing business sales and profit. You can ensure that negative reviews don’t drag your business down if you are proactive and follow these tips. Moz’s research discovered that businesses risk losing as many as 22% of customers when just one negative article is found by users considering buying their product. But just because you can lose customers from negative reviews doesn’t mean that it’s a definite. There are still ways to properly respond to and handle negative reviews that may inevitably come your way. So then, what is the real impact of negative reviews? Well, that is up to you to create. You can ensure that negative reviews don’t drag your business down if you are proactive and follow these tips. If you are not already asking for reviews from customers (which, if not-you should start doing that ASAP), then reviews may not be at the forefront of your mind and business plan. It is time to change that mentality. Just because you may not look up reviews or pay attention to them doesn’t mean that the majority of your consumer-base doesn’t. In fact, BrightLocal’s Local Consumer Survey shows that 97% of consumers read online reviews for local businesses – so you better be focusing on them! If you are not paying attention to your online review presence, it is easy to miss any negative reviews that may come your way – and ignoring a negative review may be even more detrimental to your business than the review itself. But why do you need to respond to negative reviews? Well, don’t worry; we’ve already covered that for you, too. But in case you need some extra facts here too, let me throw this one at you: 30% of consumers name responding to reviews as key when judging a local business. Besides proactively reading and responding to your negative reviews, make sure that you keep an otherwise good online reputation out there everywhere-not just on review sites. Include customer testimonials and case studies on your website to showcase your great customer service and how you really help people—it should help show a different side of your company than that one negative reviewer had to say. More good will outweigh the bad. 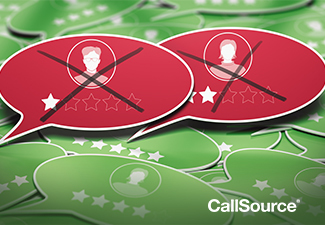 Negative reviews can be a real bummer – and could take tolls on your business. From losing business and profits to hurting your overall brand, they are really something to pay attention to. But by taking control of your online presence and authority and being proactive with your customers and reviewers, you can ensure that negative reviews don’t have a huge negative impact on your business.